A regular smartphone user knows the importance of battery. Even some of the sophisticated devices can face the issue of lack of power. Internet of Things (IoT) is facing this issue where many devices are located in hard-to-reach areas with little access to external power source. Whether used in critical medical devices or climate monitoring tools, these devices must rely on the internal battery to last a long time. For enduring battery life, IoT devices need high-capacity batteries that hold sufficient power to run the tool and improved power-efficient devices that consume less battery. IoT’s ability depends on the high-capacity batteries and new and improved devices. Researchers across the globe are working hard to address the issue. According to IoT for All, software and hardware engineers, CTOs, designers, and product managers are beginning to realize the significance of batteries. To approach required to address the issue is from prototyping to deployment. It will answer a very complicated question of incorporating the environment, the application, and the battery itself. Extending the battery life is surprisingly complex because different IoT devices have different power-consumption rates. 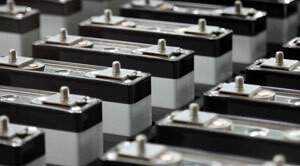 An ideal battery must pack a lot of power into a small space while delivering that power as needed for a particular application without degrading battery capacity. Wireless charging should be one of the essential functions of a perfect battery. Researcher and engineers must make it simple to monitor battery output, remaining battery life, and battery health. An ideal battery should avoid self-discharge, hold their charge for a long time, even under unfavorable environmental conditions. It must not emit waste heat, should not be prone to premature disposal and be environmentally friendly when its functions as over. It must be designed to incorporate into a wide variety of products. IoT device builders have to think of every possibility while making an IoT device. They have to ensure that their products consume the least amount of battery power possible and even use alternative power sources when available. This process begins at the beginning of the design process, not after the end product is ready. Finally, it is critical to think about the product as a whole rather than thinking about the primary processing elements of the product.